Carol Lee Klose at six years of age directed with the help of her Mother and Grandmother her first theatrical production in her Father’s garage. The entire Cast glittered under the floodlights and the Actors and Actor/Puppeteers willingly followed Carol Lee’s direction. It was a smash hit! Thus, a lifelong love of the arts began and she has remained active in the Arts Community for over fifty years. Carol Lee Klose is a Graduate from the University of Texas, Austin with a Bachelor’s Degree in Theatre Education and from Trinity University, San Antonio, TX with a Master’s Degree in Theatre. She has studied the theatre arts with James W. Moll and Francis Hodge, Lucy Barton, and Children’s Theatre with Claude Cheek at The University of Texas, Austin, Texas, Paul Baker and Robert Swain at Trinity University, San Antonio, Texas and Vivian Nathan of The Actor’s Studio, New York City, New York. She has acted and directed in theatres in San Antonio, Texas and Santa Fe, New Mexico and founded the Children’s Creative Dramatics Program and the Cellar Theatre at the San Antonio Little Theatre/The Playhouse. She directed the first theatre production at the McNay Art Museum. Her memorable productions are playing Martha in WHO’S AFRAID OF VIRGINIA WOOLF, the Stepdaughter in SIX CHARACTERS IN SEARCH OF AN AUTHOR and Directing CAT ON A HOT TIN ROOF at The San Antonio Little Theatre/The Playhouse in San Antonio, Texas and EQUUS at the Santa Fe Playhouse in Santa Fe, NM. Recently, she has enjoyed being an Acting Coach with The Renaissance Guild in San Antonio, Texas. Carol Lee is a patron of theatre, music and the visual arts. She has served on the boards and fundraised for many Fine Arts and Political Organizations and Social Service Institutions in San Antonio, Texas including The San Antonio Symphony, Arts San Antonio, the San Antonio Museum of Art, the San Antonio International Piano Competition, Arts San Antonio, Speech Arts, the San Antonio Little Theatre /The San Pedro Playhouse, the Friends of the McNay, the Human Rights Campaign, Founder and The San Antonio Red Cross. She assisted her Father in their family business, Dairy Queen Products of Texas and has been the Trustee of a family business Trust for many years. 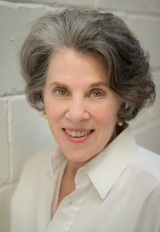 Her collaborative work on STREETCAR as Director, with her Partner, Carolyn A. Seale has brought her much gratification. She is honored to work in the theatre once again with this extremely talented and dedicated Company of A STREETCAR NAMED DESIRE. Rita comes to San Antonio via Massachusetts, London, and NYC. She studied with Charles Marowitz in London and in NYC with Uta Hagen, E. Katherine Kerr and Vivian Matalon. Back east she played leading roles in Regional, Off-Broadway, and was even on Broadway (for 5 days in a truly terrible, forgettable play) as well as a recurring role on All My Children, and national and regional commercials. Roles in San Antonio include Sister Alyosius in Doubt and Hallie in Buried Child. This production of Streetcar is her first experience on the other side of the footlights and she’s finding it invigorating and, actually fun! Carolyn was fortunate to be born to loving parents who encouraged and nurtured a faith and reverence for God and an interest in the fine arts. She is proud to be a part of this talented theatre company and sincerely thanks all of the gifted actors and artists for their dedication to this production. Alice Gomez has served as Composer-In-Residence with the award winning San Antonio Symphony, The Midland-Odessa Symphony, the Performing Arts Center in Gallup, New Mexico, and the Guadalupe Cultural Arts Center in San Antonio, Texas. Gomez has received numerous composer awards from the American Society of Composers, Authors, and Publishers (ASCAP). Internationally recognized for her concert music compositions, musical talent and creativity, Gomez’s contributions to a multitude of musical genres is widely acclaimed. Alice Gomez currently serves as the Director of Programs for the San Antonio College Music Department. She keeps a very active schedule composing, lecturing, teaching, performing, and recording. Redding Baker graduated with a major in Chinese Studies and a minor in Drama from Trinity University. He recently costume designed Waiting for Lefty, was an assistant costume designer for Trinity University’s production of Arcadia, and was the assistant director for AtticRep's acclaimed production of HELLCAB. Last year he directed …And the Rain Came to Mayfield, and prior to that he conducted dramaturgical research for Trinity University’s La Tempesta. His favorite acting roles include Mr. Noakes of Arcadia, Rudy from Bent, and Arlecchino from The Servant of Two Masters—a role for which he received the Alamo Theatre Arts Council award for Best Actor in a Comedy. Alessandro Olivier Fierros is an alumnus of the University of Northern Iowa. He graduated with a BA in Theatre: Performance and Theatre: Design and Production. Off-stage he assisted the Strayer-Wood Theatre in various ways, including Stage Management and Props Management. Recent Projects - AtticRep: Slasher (Props), Straight: A Conversion Comedy (SM); Who's Afraid of Virginia Woolf (SM); HELLCAB (SM). Aztec Theatre: San Antonio Rose Live! (SM). Woodlawn: The Rocky Horror Picture Show (Stage Hand), Eurydice (SM). Robin Crews came to San Antonio to attend Trinity University and loved the city so much decided to stay. Robin has been involved in the performing arts since then including Lighting Design for Little Hotel by the Side at Trinity University, Equus and Into the Woods at San Pedro Playhouse, Who's Afraid of Virginia Woolf, American Buffalo, and Blackbird at Attic Rep and at Northwest Vista he did the Lighting Design for Hay Fever and Iphigenia at Aulis. Jeremiah Teutsch came into being in Lubbock, Texas. He did eighteen years there, and very quickly cut out as soon as he was able. He moved to Denver, Colorado, where he received his BFA in Painting and Drawing from the Rocky Mountain College of Art + Design. After a few years of moving around (from Denver, to New York, to Maine, to Boston, to Austin) he finally settled down in San Antonio, where he now lives and works. He is now 30 years old. What does he do? Well…what doesn't he do?! He was a founding member and studio manager of the Transit artist-in-residency program. He is currently one of the directors of Agora, a community arts space. He works at the McNay Art Museum. He works as a picture-framer. He is an illustrator for Plaza De Armas Magazine. He is on the steering committee for Luminaria. He is also a very talented visual artist in his own right. He has curated! He is also an avid supporter of speaking in the third person. He, lastly, is an idea man -- an inventor. He has worked on several productions with the Attic Rep Theater including production and design for Lydia, Smudge, 50 Words, God of Carnage, Who's Afraid of Virginia Wolff? He designed the award-winning set for Attic's production of American Buffalo. Tiffani Willis has been apart of the Theatre for over 21 years, and film for 12 years. Writer, director, producer, costumer and plain wonderful. Tiffani looks forward to her first production with Klose/Seale productions and many more!! Aline Harris, a native of San Antonio, serves as Property Mistress. As a lover of live theatre, she welcomes the opportunity to support the arts in her hometown. She lists St. Phillips college as a catalyst in her early education. Giving back to the community by baking cakes for the East Commerce Church of Christ and the local Police and Fire Departments gives her joy. This mother of three wonderful children and grandmother of two beautiful and rambunctious girls, can be found in her rose and tomato garden in her spare time. specializes in custom sewing for costumes and weddings. she studied Master Design Tailoring in Philadelphia and has operated New Creations -- making Fabric Fit Fantasy here in San Antonio for over 20 years. She has worked with families and theatres in San Antonio including The Playhouse, Harlequin, the Carver and Woodlawn. Some corporate clients include.Top Chef, HEB and IBC and manyproduction companies. 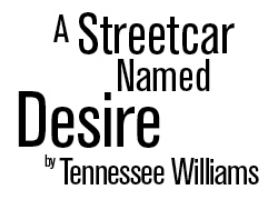 She is very excited to be working on this production of A Streetcar Named Desire. Martha Peñaranda holds degrees in textile, costume, and scene Design. Martha studied scene and costume design at the Academy of Fine Arts in Florence, Italy, and has a dual master’s degree in scene and costume design from Carnegie Mellon University. She has held positions in academia, industry, and as a design consultant. She worked as a field researcher and taught regular workshops on dyeing and coloring to indigenous communities in the Colombian Andes. Her trajectory for the stage includes designs for theater and ballet. In San Antonio, Martha designed sets for the Ballet San Antonio production of The Nutcracker, and most recently, costumes for the Alamo Ballet Theatre production of Alice! A Ballet Wonderland. She has also work extensively with AticRep and the North East School of the Arts. Productions include; The Last Day of Judas Iscariot, Fat Pig, True West, King Lear, The Odyssey, West Side story, Les Miserables, Cats and The Tempest. In 2007, Martha was the first recipient of the Robert L. B. Tobin Award in Scene Design.